The inherent unpredictability of wood maturation, coupled with the pressure of meeting demand, means that good whisky is always going to be difficult to come by. Things are not getting any easier. Demand for scotch may not be skyrocketing still, but it is there, and it’s not as though you can churn out more casks of whisky that were filled over ten or twenty years ago. It’s a simple fact of numbers. William Grant & Sons can count on their lucky stars, then, that they have in their service the longest-serving master blender (they call him their malt master) in the industry – David Stewart. Recently awarded an MBE for his outstanding contribution to the craft, David has made finishing into an art – and it shows in their latest expression. The whisky is matured in ‘traditional oak’ (ex-bourbon) whisky casks for over two decades, then transferred to casks previously used in the production of fortified Madeira wine for a further period of maturation under David’s supervision, who will sample the casks’ contents regularly to ensure that the final notes are characterised with notes of vanilla, oak and honey, finishing with a luscious layer of rich spice. 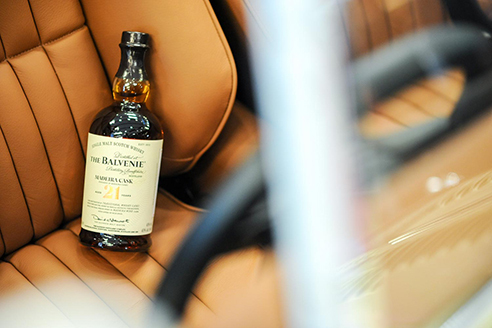 The Balvenie 21 Year Old Madeira Cask is not only a fresh face – always something good to have in a now fast-paced industry – it also replaces the travel retail version of the 21 Year Old Portwood (it is still offered in the regular range). It was also borne out of necessity, as demand for the popular Portwood had put WGS in a position to rethink how they can best manage their portfolio. 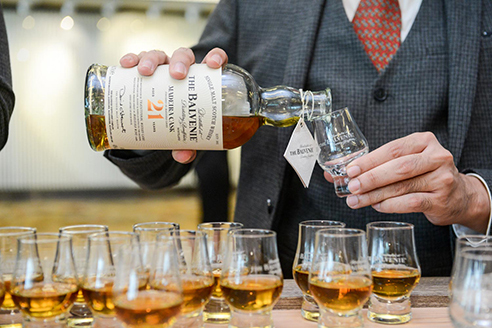 The Balvenie in itself, had a natural affinity with Madeira casks, as could seen from its single cask releases some years back, and the 21 Year Old Madeira Cask only serves to back up that postulation. Nose Fragrant fruity and floral, orange blossom, fresh pineapple juice and a touch of spicy ginger finishing on some vanilla syrup. Taste A lovely mouth feel with a real juicy edge, exotic fruit salad and barley sugar with runny honey, cinnamon spices and gentle oak vanilla. Finish Lingering and luscious, sweet and malty alongside swathes of vanilla and a spicy layer. Certainly a whisky that’s in the vein of the popular 21 Year Old Portwood that it replaces. Fans of the easy-drinking style of the Portwood will also enjoy the Madeira, which adds a spicy kick to the distinctive, familiar honeyed malt that we’ve come to identify The Balvenie with. And with a lower ABV (40% vs the 47.6% of the Portwood) it’s a lighter-bodied malt that’s tailor-made for casual drinking sessions. 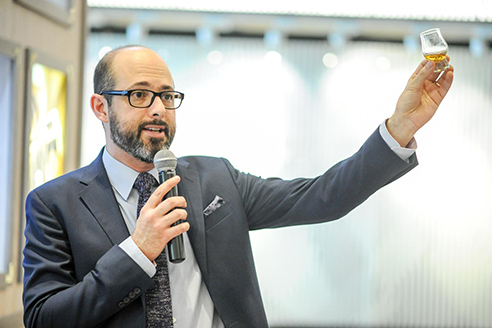 Managing existing stock and coming up with compelling expressions is never an easy task, but it looks like David Stewart and his team has pretty much accomplished both. The Balvenie 21 Year Old Madeira Cask retails for S$295 and is a travel exclusive available at DFS at Singapore Changi Airport. The showcase will run until April 11, 2016. The Balvenie has spent much of their time and money in supporting the handcraft tradition, which is in line with their positioning as a craft-centred distillery that still has the means to carry out every part of the whisky production process – they still do floor maltings and have their own cooperage. 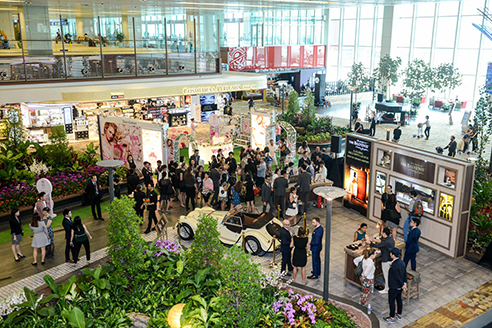 To celebrate the global launch as well as The Balvenie’s affinity with great craftsmanship, travellers to Singapore Changi Airport’s Terminal 1, Central Piazza will not only have an opportunity to sample The Balvenie 21 Year Old Madeira Cask, they can also experience a showcase of local craftsmen – part of The Balvenie Connoisseurs of Craft initiative – sharing their expertise in, leather craft, printmaking and shoemaking. Also on display is The Balvenie Morgan, a handcrafted 3.7-liter, V6 Roadster built in collaboration with the Morgan Motor Company based in Malvern, Worcestershire, England. They share a common ideal in doing things ‘old school’ in a modern setting. Extremely hard to come by in Singapore, this might be one your better chances of getting a close look at it. Definitely something worth checking out for ‘craft’ instagrammers (sorry, haha).